However, we at PROJECT X believe that impossible is nothing. The SPARK debate crew of PROJECT X is in a quest to unveil Nigeria’s finest debaters and as part of the qualification round, the prospective debaters have weighed in on Nigeria’s epileptic Power and how to fix it. Ready? It is heartbreaking that Nigeria a country of over 170 million people generates less than 5000megawatts this surely cannot serve the entire population. It is a fact that a country’s power generation capacity goes a long way in fostering economic development hence poorer nations tend to suffer more from power outage. For Nigeria to improve power generation and distribution the political class must have the will to arrest the scourge. Over the past ten years Nigeria has spent trillions of naira on power generation and distribution all to no avail. In most cases contracts for the building of dams are awarded to political juggernauts, who don’t even go to site, former president olushegun obasanjo was alleged to have awarded the construction of the papa alantoro power station to his in-laws. For the country to escape from the shackles of epileptic power supply, there must be political will to arrest the scourge, no amount of money invested on it would yield if the hydra headed serpent called corruption still exists in the polity. Nigeria has not tapped into renewable energy source like she should have, by renewable energy source I mean energy that can be renewed like solar energy generated from the sun ,wind energy that powers electricity generating turbines . Germany for instance had so much renewable energy on May 8 2016 that it had to pay her citizens to use electricity. It was so sunny and windy that turbines and solar power sources were supercharged. Generating renewable energy is so easy that a Malawian teenager taught himself how to build a windmill out of junk and brought power to his village. African American rapper Akon through his solar academy has single handedly delivered power to about one million African homes. Is Akon richer than Nigeria, why can’t Nigeria tap into this potential and break loose from incessant power supply. “Up NEPA” is more of a cliche in Nigeria. Our nation Nigeria is blessed with mineral resources, human resources, and natural resources, but the problem is how well we can manage them. In every industry, factory, or company, the power supply is so tangible. It is a pity that most companies make use of generators which requires diesel, thereby leading to high cost of goods. With the above, one can vividly tell why industries are relocating to other countries. It is laughable when we supply countries like Togo, Ghana with power, but lack the same thing in our own country. For ten years, there was no power failure in Ghana, and Nigeria was the same country that supplied them with gas. The use of renewable energy, especially the one fondly called solar can be encouraged. Another is that those in this field should be sent abroad and trained in the advanced countries on modern ways of power supply. Lastly, and importantly, the vandalization of electric equipments should be prevented. EPILEPTIC POWER SUPPLY IN NIGERIA: WAY FORWARD. 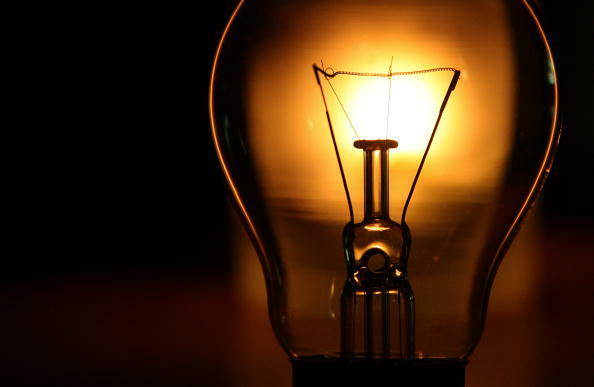 “Right from the times of NEPA, and to the era of PHCN, and now that there are electricity distribution companies, we have seen notable changes, because we can see that power in Nigeria has progressively deteriorated and has grown from bad to worse and now it is worst as it is evident from the few hours of electricity we see per week these days…” Those were the words of a retired civil servant who resides in Bodija area in Ibadan, he decries the ugly state of the power sector in Nigeria, truly urgent steps need to be taken to save the situation. The solution to the state of power in Nigeria however, would start with the flushing out of corruption and bottlenecks in the power sector, if sincere and honest people are at the helm of affairs things would gradually change. Also the government should find lasting solutions to the issues of vandals who day after day blow up gas lines and bring the amount of power produced down constantly. Finally, the nation should look for alternative ways to generate power other than the tired Hydroelectric dams we majorly depend on. Power is invaluable, not just because it is used to measure time ; it is regarded as a thing of joy, having a ray of light flash through your bedroom window at sunrise, midnight or any time of the day. Nigeria’s dwindling power situation has remained a constant evil that if resolved will bring succour to already impoverished masses. Research states that only 40% of Nigerians are connected to the energy grid. The people who actually have power experience difficulties 60% of the time (Aliyu, Ramli and Saleh, 2013). Currently Nigeria uses four different types of energy: natural gas, oil, hydro and coal (Aliyu, Ramli & Saleh, 2013). A practical solution will involve the harmonization of these four different forms of energy where every area becomes a little hub producing their own power by whatever resource readily available. Also, a bottom-top approach should be considered whereby Local Governments and states should take responsibility for power. Local Governments should be mandated to self-generate 100-200MW for local consumption. Privatisation should be encouraged to compliment government efforts. In conclusion, fixing the energy supply will do more good to its citizens if these solutions are considered. 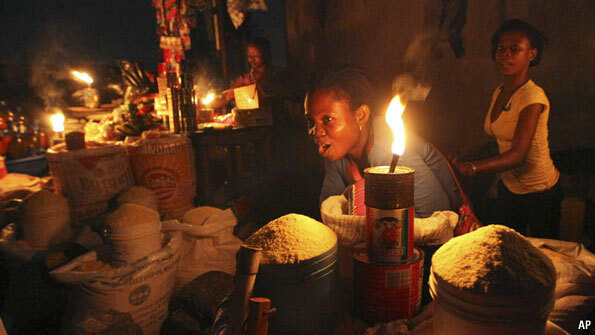 What can be done to fix Nigeria’s epileptic Power supply? We would love to hear from you in the comments section.